Contact Us TODAY! - 'Actively' seeking Certified Appraisers! We have over +185 Certified Personal Property Appraisers on our Team of Professionals. They are located throughout Ontario: our Accredited & Certified Appraisers are specialists, with years of experience and genre. Are you a Personal Property Appraiser? CALL Us TODAY! If you have a Appraisal Certificate or Diploma, or if you belong to a National Society or Membership. 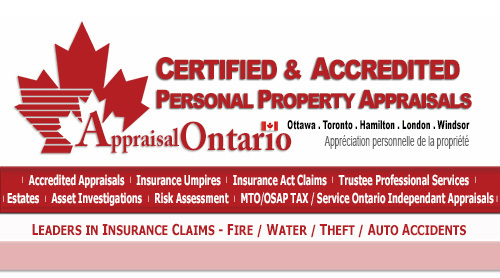 Over 185 Certified & Accredited Personal Property Appraisers on our Team of Professionals throughout Ontario. We have hand selected ONLY Accredited Personal Property Appraiser(s) that have proven to be Ethical, Honest, & Professional. They all have went thru an extensive Independent Background Investigation & proof of their Excellent History of Good Business Practices. 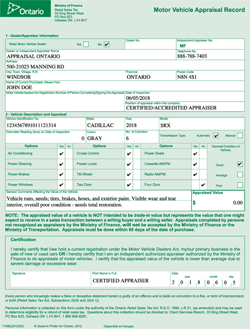 Our Certified Appraisers are specialists, with years of experience and genre. From your first contact, thru the entire process - WE will treat you they way you should be! Our mission is to work together as one team, on every assignment. We don't SELL Appraisals - we offer suggestions, that will SOLVE your need for a Certified Appraisal Report by: Professionally Trained & Experienced Appraisers. Just contact us for further details. Excellent expert researchers, clerical staff, design and layout professionals, administrative support and continued education available. If you belong to any of these societies: - American Society of Appraisers - ASA - International Society of Appraisers - ISA - Appraisers Association of America - AAA - Canadian Personal Property Appraisal Group - CPPAG - Plus many USPAP - Independent Certified Personal Property Appraisers CALL OR EMAIL US TODAY! JOIN Our Monthly Newsletter & Contact Mailing List!